This Potato Pokora batter is so versatile. You can dip different types of veggies in the batter and fry individually, or you can create a meaty veggie mixture and coat and fry or even fry as balls. Place the potato slices in a bowl of cold water while making the batter. Combine flours, spices, and salt. Add a small amount of water and keep adding until a runny batter is formed. Heat oil for deep frying on medium heat. Drain the potato slices and dip into the batter. Fry in the oil till golden brown then flip and fry on the other side. Let rest on paper towel to drain any excess oil before serving. The same batter can be used to dip sweet potato – cauliflower – spinach – eggplant – chili – zucchini – cabbage or a combination of vegetables. For a meaty variety add minced meat to the vegetables, shape into a ball and coat in the mixture before frying. 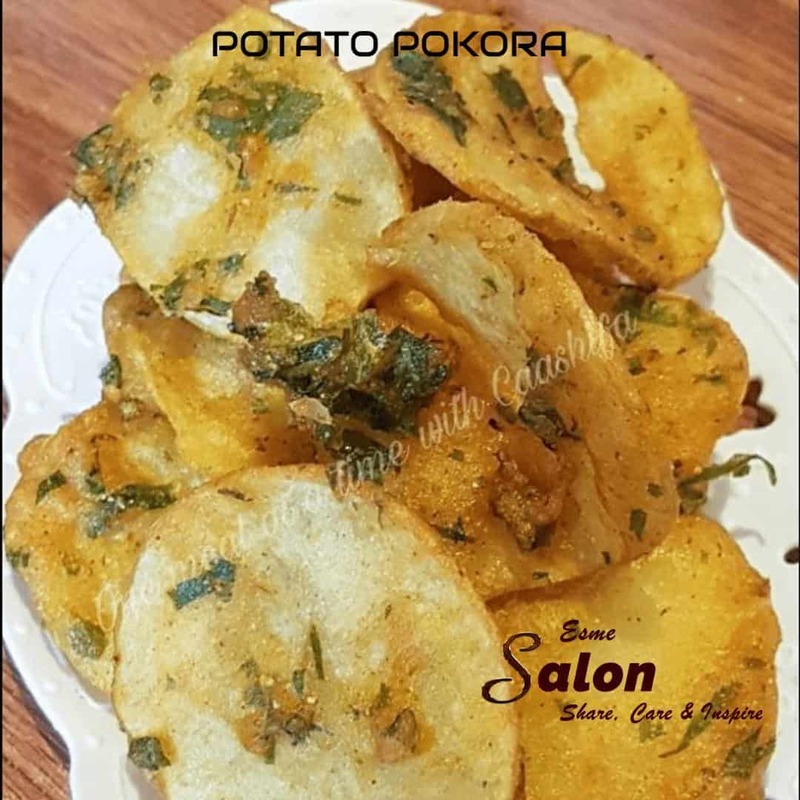 More Pokora treats should you need a different recipe. I receive so many wonderful and different recipes from my FB buddies. Hope you will enjoy this one.